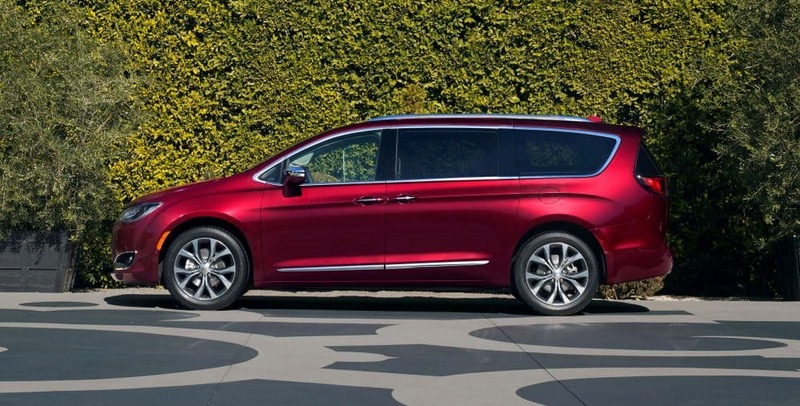 Minivans have never looked cooler with this 2018 Chrysler Pacifica. 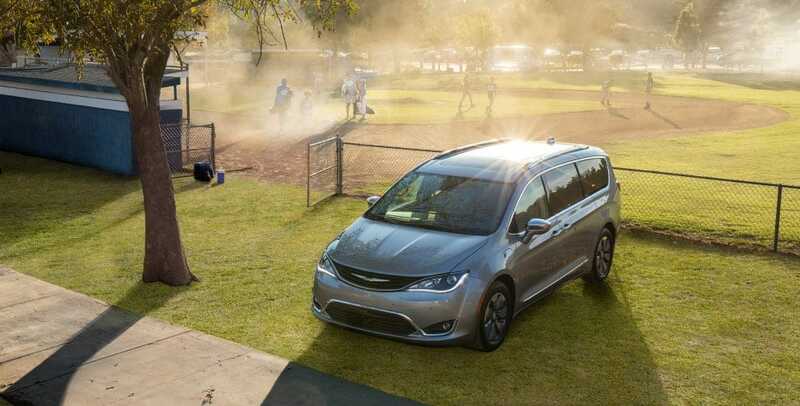 Your kids will be proud to be dropped off at school in the Pacifica, and they'll be begging to go on long drives. 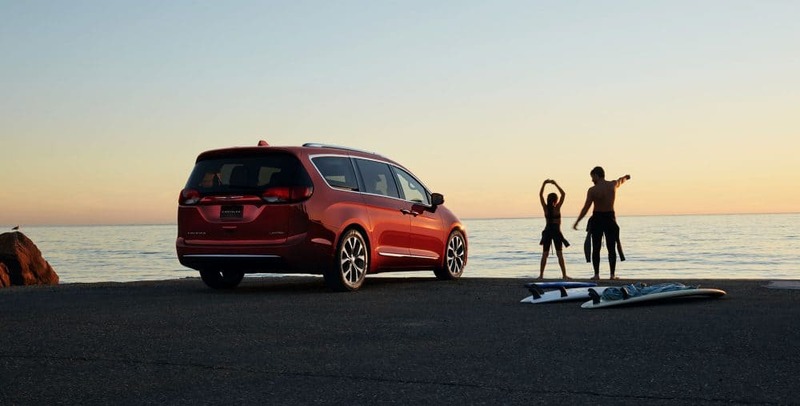 This model year brings you a technologically advanced, luxurious, and sportier minivan that will make you proud to own a vehicle that focuses on the family. 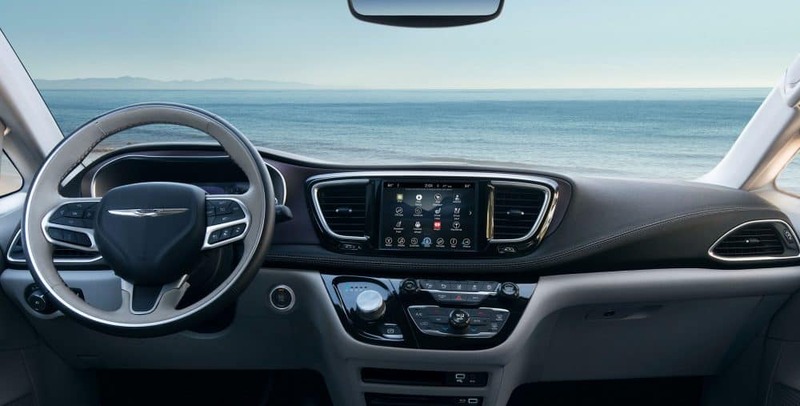 Android Auto and Apple CarPlay come with every Chrysler Pacifica model for this year, including plenty of other features to help make for an easier and more enjoyable ride and drive experience. Some other features that are available for 2018 include ParkSense rear-park assist, rear cross-traffic alert, and blind-spot monitoring. That means that this sleek and stylish minivan does not just look amazing, but it will keep you and your family safe for years to come. 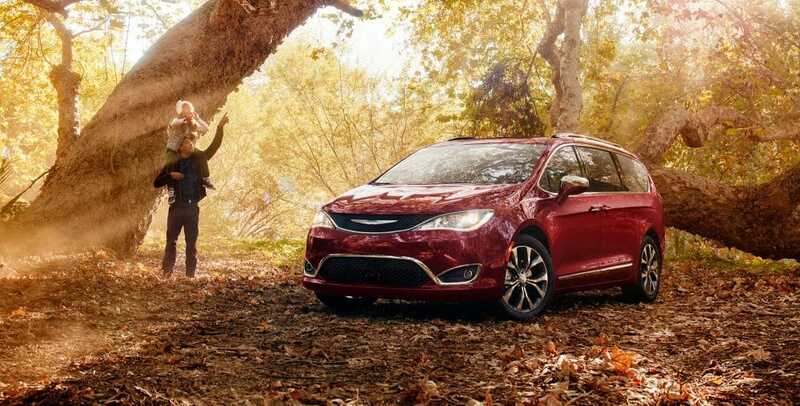 What is the standard engine in the Pacifica? Power is always on the top of the checklist, even if it is a minivan that you are looking for. 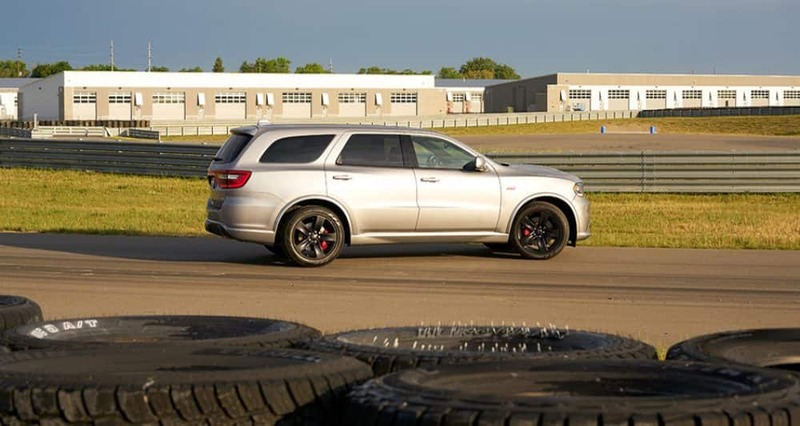 Chrysler is giving you that power, with the standard engine being the 3.6-liter V6. This engine has the capability to produce 287 hp and 262 lb-ft of torque. This powerful engine pairs with a nine-speed automatic transmission. The fuel economy in this minivan is 18 miles per gallon in the city and 28 miles per gallon on the highway. What are some of the trim levels available? There are six different trims offered with the 2018 Pacifica. Along with these trims are a few Pacifica Hybrid options. Every model includes KeySense. KeySense is perfect for valets and young drivers with the option to use the secondary key to limit how fast the driver can go, and how high the satellite radio can go as well. The highest trim available is the Pacifica Limited. The Limited gives you ventilated front seats, an in-vehicle vacuum cleaner, the hands-free liftgate and sliding doors, a power-folding third-row seat, driver memory settings, premium leather upholstery, xenon headlamps, power-folding mirrors, LED fog lights, auto-dimming exterior and rearview mirrors, and 18-inch wheels. 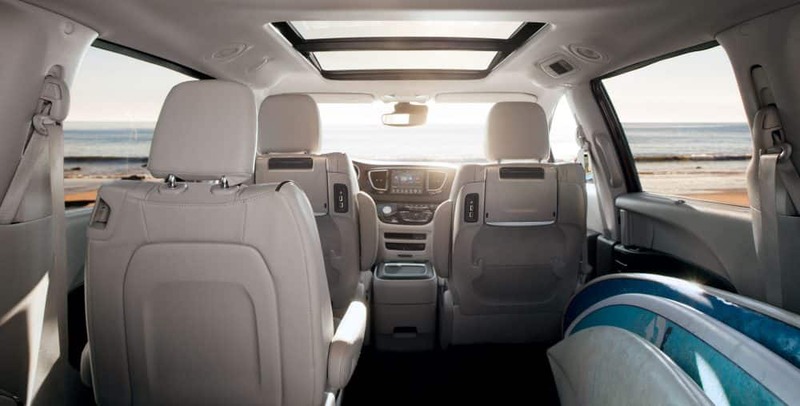 The mid-range Pacifica is the Pacifica Touring L. This level adds heated front seats, an eight-way power passenger seat, a second-row USB port, leather upholstery, and second-row and third-row retractable sunshades. The base for the Pacifica is the L, offering you many impressive standard features including Bluetooth, keyless entry and ignition, a 7-inch touchscreen, a six-speaker audio system, a 60/40-split folding third-row seat, an auxiliary jack, rear parking sensors, heated mirrors, blind-spot monitoring, 17-inch steel wheels, a height-adjustable driver seat, and dual-zone climate control. What safety features are included with the Pacifica? Just a few of the long list of safety features that come standard are a rearview camera, blind-spot monitoring, parking sensors, and rear cross-traffic alert. Optional safety features include adaptive cruise control, forward-collision warning-plus, a surround-view camera system, and lane-departure warning plus. 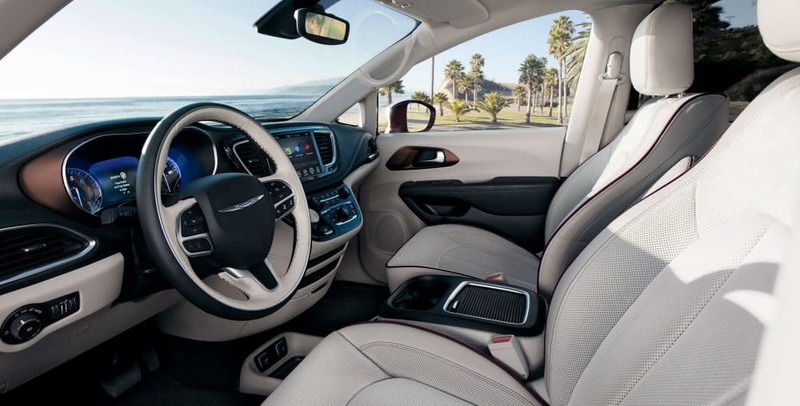 Minivans are known for their outstanding safety features, and the Chrysler Pacifica stands out even among the safety conscious crowd. Looking for the perfect family vehicle that gives you safety, technology, and even style? 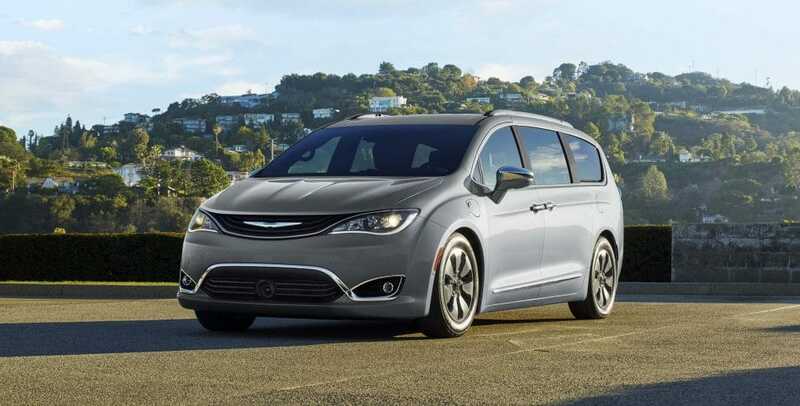 Look no further than the 2018 Chrysler Pacifica. 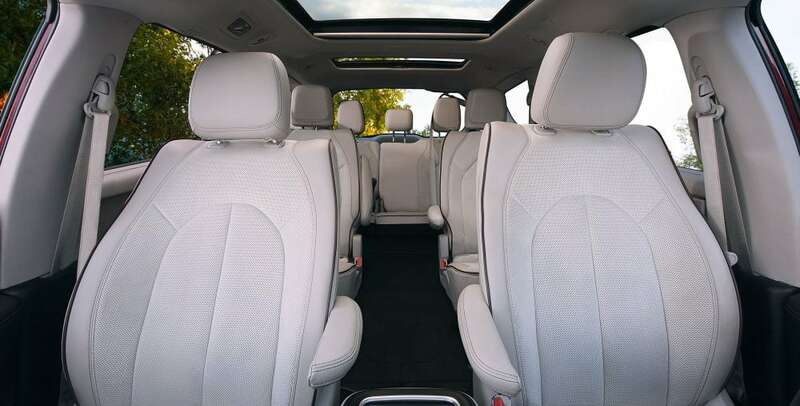 This minivan features a 3.6-liter V6 engine, standard blind-spot monitoring, and 17-inch steel wheels. Still looking for more information? Call us, or use the form below to send in your questions!